Slip and falls can occur as a result of slippery wet floors, escalator malfunctions, poor lighting, neglected objects left on the floor and more. Children are especially vulnerable to shopping cart injuries because of their size and vulnerability if a shopping cart should tip over; however, adults can be injured by tipped shopping carts as well. Overcrowding injuries, as mentioned, are a signature of holiday season shopping, given the sheer volume of shoppers during this time. Shoppers also tend to exhibit more aggressive behavior, partially in response to the crowd and partially because they may be competing to get their hands on merchandise. Out of reach objects, retail displays, falling objects and other various mishaps can commonly contribute to head and body injuries. Cracks in the pavement of a parking lot or general parking lot design flaws can cause people to trip and fall, potentially being injured. When someone has been injured as the result of a New Hampshire shopping injury, he or she may choose to file a personal injury claim. Filing suit for personal injury is an effective way to gain compensation for your injury, and would help the offending retailer rectify any issues toward which it may have been negligent. In order to succeed on a personal injury claim, the injury must have been within the power of the retailer to prevent, through due diligence. If the retailer failed to prevent the injury as the result of their own negligence, there is a strong chance the personal injury claim will prevail. New Hampshire law accounts for the possibility that fault for the injury may be shared, to some degree, between both the negligent retailer and the person who incurred the injury. For example, the shopper may have chosen to stand on a shelf to reach an item, but it was the retailer who knew the shelf had been dangerously loose for several weeks and had not yet fixed it. The court could find that the injury the shopper incurred was the fault of both parties, and damages the court awards to the shopper would be reduced by some extent. There is a three year statute of limitations to file a claim. 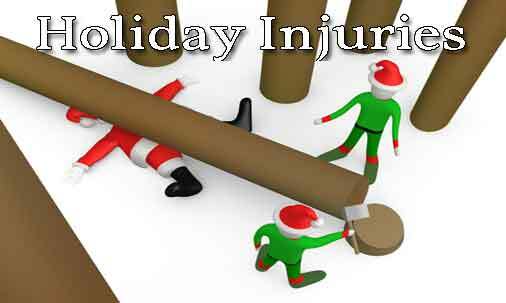 Thus, if you were injured at a store in a past holiday season, you must come file a claim before the statute of limitations runs out, or else you have no other real recourse to obtain just and fair compensation. If you suffered a shopping injury this holiday season and believe the retailer could have done something to stop it, contact New Hampshire personal injury attorneys Tenn And Tenn, P.A. immediately for a free consultation of your case.